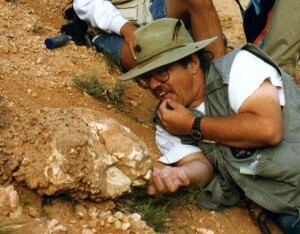 James Kirkland, State Paleontologist, Utah Geological Survey. Dr. James Kirkland is the Utah State Paleontologist with the Utah Geological Survey. He issues permits for paleontological research on Utah state lands, keeps tabs on paleontological research and issues across the state, and promotes Utah’s paleontological resources for the public good. An expert on the Mesozoic, Jim has spent 40 years excavating fossils across the southwestern U.S. and Mexico, authoring and coauthoring more than 75 professional papers which include the naming of 18 new dinosaurs. Europe’s newest iguanodont is being described in a forthcoming paper with his iguanodontologist colleague Dr. Andrew McDonald and Dr. Luis Alcala of Dinopolis, Teruel, Spain, and is documenting the last Mesozoic connections between Utah and Europe with the opening of the North Atlantic around 110 million years ago. Described from Lower Cretaceous strata of southern England in 1825, Iguanodon was the second dinosaur ever described. Initially thought to represent an extinct rhinoceros, its teeth were compared to those of an iguana and thus it was named Iguanodon meaning “Iguana tooth.” This was one of the first three fossils that would be used to define the Dinosauria in 1841 as huge Mesozoic reptiles with an upright posture as in modern mammals. Initially, based on the few fragmentary fossils, Iguanodon was interpreted to be an elephant-sized, quadrupedal reptile with a horn on its nose. 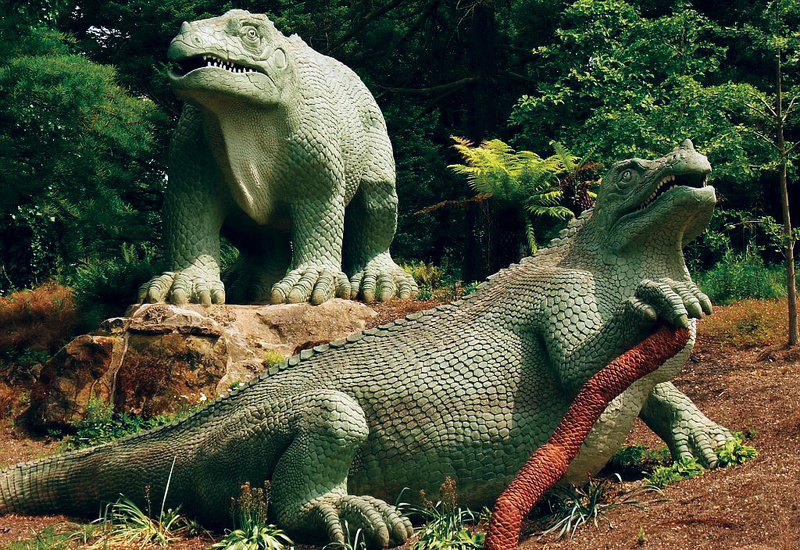 This fanciful reconstruction was among the first reconstructions of a dinosaur ever made. The description of the more complete Hadrosaurus skeleton from Upper Cretaceous strata of New Jersey in 1858 led to speculation that Iguanodon was bipedal. However, with the 1878 discovery of 24 complete skeletons of Iguanodon at the bottom of a coal mine about 1000 feet down at Bernissart, Belgium, the anatomy of this dinosaur became well understood. By comparing the anatomy of these skeletons with those of modern animals, such as flightless birds and kangaroos, Iguanodon was reinterpreted as an upright bipedal animal that would have braced itself with its tail. Furthermore, the spike that had previously been placed on its nose was found to actually be a thumb-spike, which may have been used in self-defense. Not until about 100 years later was it noted that these dinosaurs would have had to walk with their back and tail held horizontally in the currently accepted posture for most dinosaurs. As one of the first dinosaurs, more than 20 species from the Lower Cretaceous across the Northern Hemisphere have been classified as Iguanodon. In recent years, all of these many species have been assigned to different genera. Described as North America’s first Iguanodon in 1979, Iguanodon ottingeri was based on an upper jaw fragment with just two teeth from near the base of the Cedar Mountain Formation (Yellow Cat Member; about 125 million years old) in Brigham Young University’s Dalton Wells Quarry north of Moab, Utah. Because there is more than one iguanodont dinosaur species now known from this important dinosaur locality, this species is no longer considered valid by most scientists. 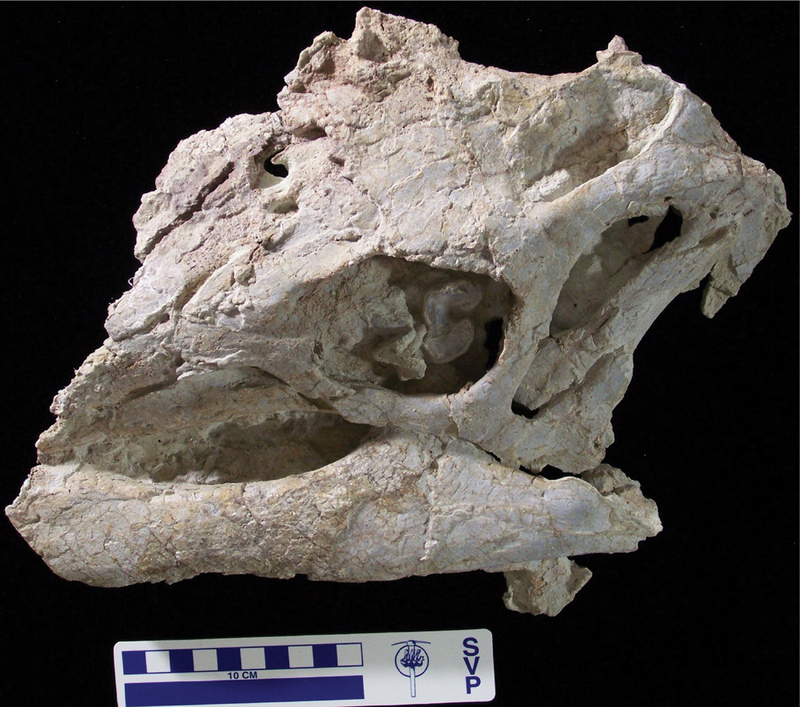 Utah’s first well-documented iguanodontian was initially described by me in 1998 as a basal hadrosaurid. 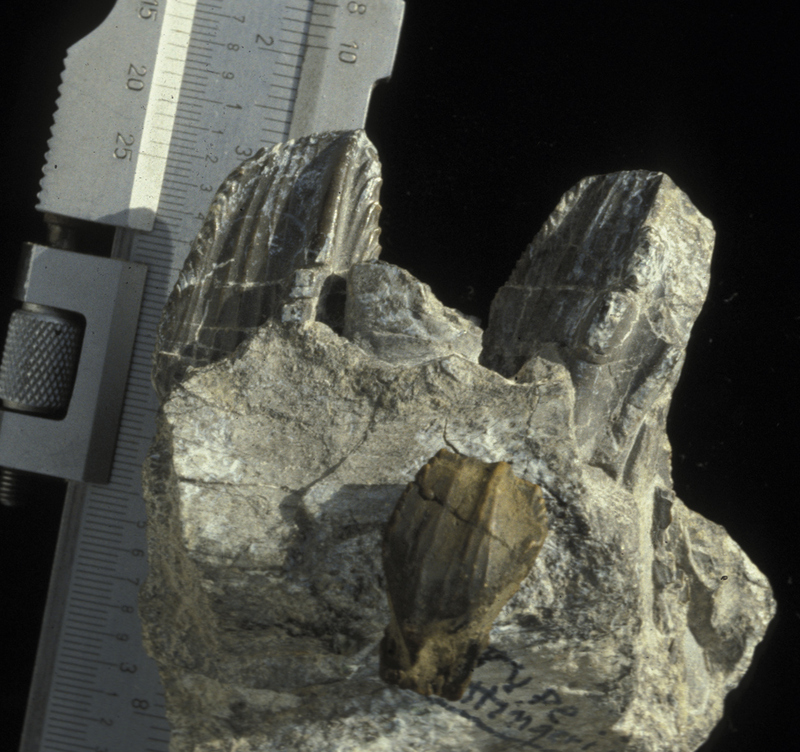 Eolambia caroljonesa has a thumb-spike and is the most common dinosaur found at the top of the Cedar Mountain Formation in the Mussentuchit Member (about 98 million years old) on the west side of the San Rafael Swell. As this dinosaur is most closely related to advanced iguanodontians from Asia, Eolambia has become important in dating the origins of Alaska and the first immigration of dinosaurs from Asia into western North America at the end of the Early Cretaceous. Researchers from the Denver Museum of Nature and Science described Planacoxa venenica and Cedrorestes crichtoni from the Poison Strip Sandstone Member of the Cedar Mountain Formation (about 120 million years old) northeast of Arches National Park in 2001 and 2007, respectively. Based on the sparse, fragmentary nature of these distinctive fossils, they may represent a juvenile and an adult of the same species. 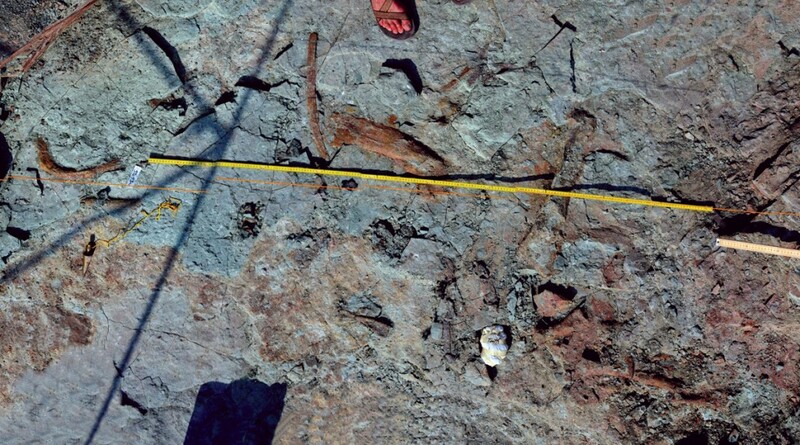 Between the Poison Strip Sandstone and the Mussentuchit Member, the Ruby Ranch Member has yielded scrappy iguanodontian remains that may represent Tenontosaurus known from correlative rocks in Montana, Texas, and Oklahoma when North America may have been isolated by rising sea levels. This genus is a very primitive iguanodontian that still maintains a five-fingered hand and lacks a thumb-spike. The Yellow Cat Member of the Cedar Mountain Formation may preserve the bulk of Utah’s iguanodontian diversity. In addition to a new sail-backed iguanodont at Dalton Wells, Hippodraco scutodens from the upper Yellow Cat northeast of Arches National Park and Iguanacolossus fortis from the lower Yellow Cat south of Green River, were both described in 2010. Hippodraco may actually represent the same species as the original Iguanodon ottingeri, but unfortunately this may be impossible to test. 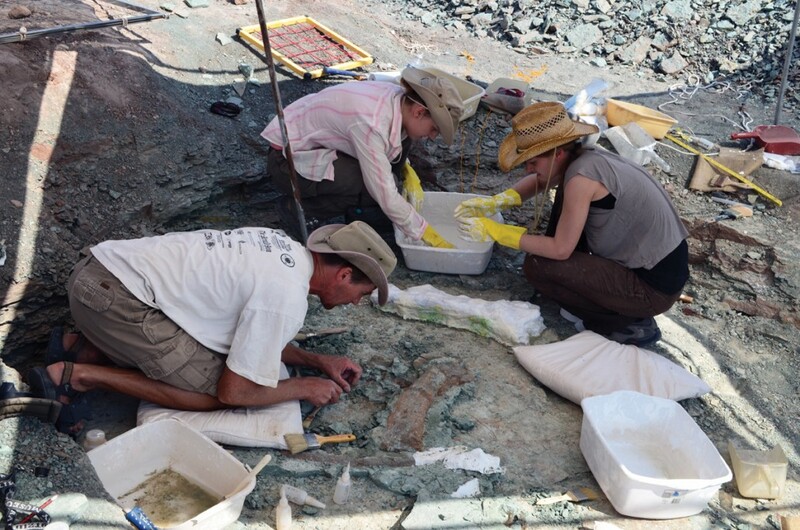 Our excavations at the Doelling’s Bowl dinosaur bonebed near Cisco have revealed a diverse fauna of dinosaurs that we are currently speculating is older than others known in the Yellow Cat, and may be North America’s oldest Cretaceous dinosaur site. The dinosaurs are dominated by a new iguanodont species that looks to be more primitive than Hippodraco. 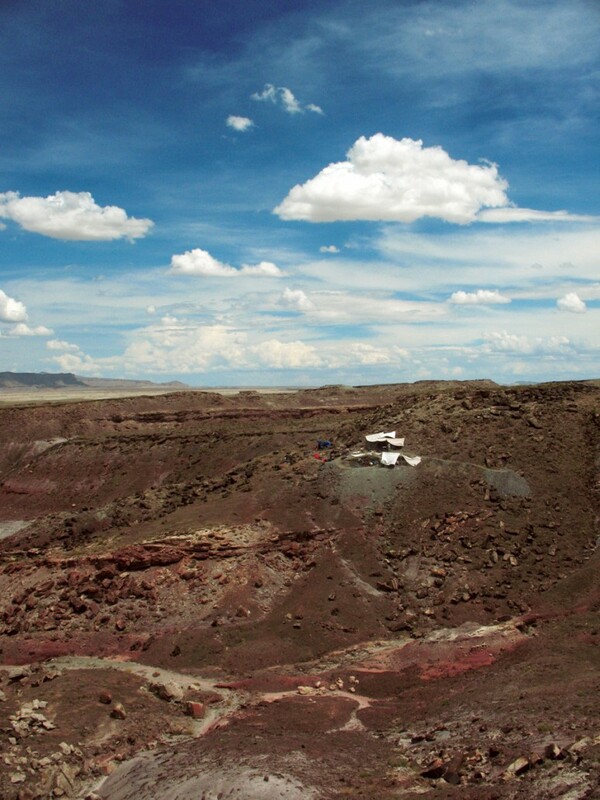 Once again, Utah’s Cedar Mountain Formation is revealing new chapters in Utah’s dinosaur tale that we are only now beginning to appreciate.